KUALA LUMPUR, Oct 22 – The announcement by Johor Menteri Besar Osman Sapian last week that the state government was considering the “crooked bridge” project and that he was awaiting the green light from Prime Minister Tun Dr Mahathir Mohamad has taken his state exco by surprise. State exco members were said to be unaware of the “crooked bridge” project and were taken aback by the announcement, The Malaysian Insight reported. A source close to the state government told the news portal that there had not been any discussion on the project in the state exco. “In truth, we have no information. The MB’s announcement caught us by surprise,” he was quoted as saying. This was confirmed by another source, who also said Osman did not inform his fellow exco members on the matter. Meanwhile, the source added that the construction of the crooked bridge would not solve the traffic problems faced by commuters travelling to Singapore. “The main issue remains the congestion at the Johor Baru Customs, Immigration, and Quarantine Complex (CIQ). “Constructing the crooked bridge is like going back to Dr Mahathir’s legacy. It appears as though he wants the bridge so much but it will not solve the congestion at CIQ,” the source was quoted as saying by TMI. He added that reviving the project also ran contrary to the federal government’s austerity drive. 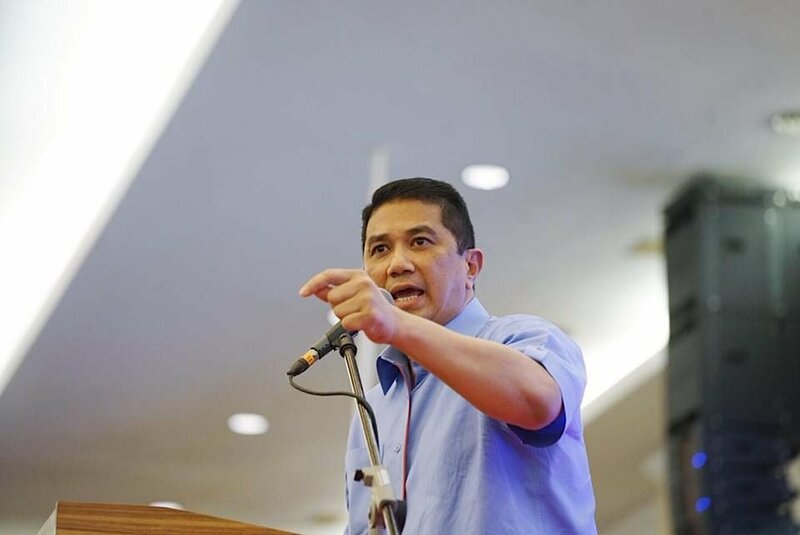 Osman, who is also state Parti Pribumi Bersatu Malaysia (Bersatu) secretary, heads the state exco which comprises three members from Bersatu (including Osman), four from DAP, two from PKR and two from Amanah. Was Osman Sapian forced to change plans? The other question on the minds of many political observers is if Osman had been forced by Mahathir to backtrack from the state’s original plans to build a third link to Changi, on the eastern coast of Singapore. This is because it was reported in August that the new Johor state government plans to build a third bridge in Sungai Rengit in Pengerang, Kota Tinggi district to ease traffic congestion at the Johor Causeway and the Second Link Crossing. The expected time frame for that third link was stated as three to four years. However, Osman’s surprise announcement came in the wake of a meeting he had with Mahathir last month. The comments from the source close to the state government is not a surprise though as Johor DAP chairman Liew Chin Tong, who is also deputy defence minister, told reporters in Parliament last week that the “crooked bridge” was not a priority. “We will be happy to support a third bridge project. But the main focus should be to ensure speedy traffic flow of people and goods on both sides. 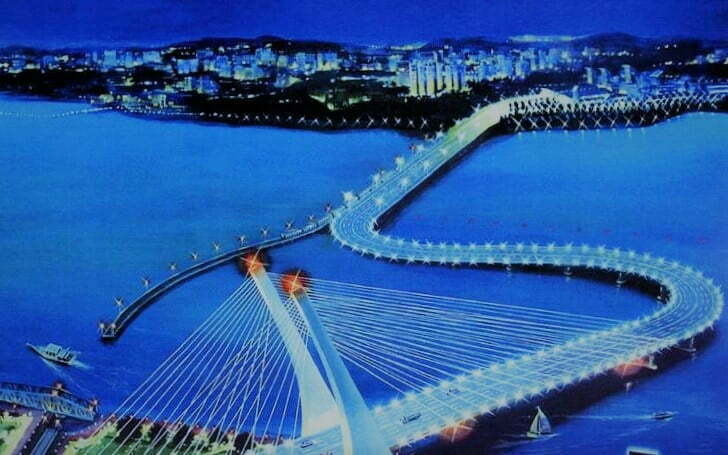 “That is why we think that the crooked bridge is not an immediate priority,” Liew was reported to have said. The issue of priority was also on the mind of Johor Crown Prince Tunku Ismail Sultan Ibrahim who posted a tweet shortly after Osman’s announcement. “In my opinion, it’s better to go ahead with the hospital in Pasir Gudang that (the) government tunda (postponed) and increase healthcare budget for the state. According to New Straits Times, the message from Tunku Ismail was in response to a tweet asking what he thought of the proposal to revive the “crooked bridge” project linking Johor Baru and Singapore. The royal, who is more popularly known as TMJ, was referring to the proposed 300-bed, RM500-million hospital, approved under the 11th Malaysia Plan, with a 20.23ha plot of land in Jalan Gunung in the Bandar Seri Alam township identified as the site. Shortly after the new state government was installed in May, the hospital project was shelved following instructions from Putrajaya. Johor Works, Infrastructures and Transport executive councillor Mazlan Bujang was quoted as saying that the Finance Ministry issued letters asking for these projects to be reviewed due to the alarming national debt of RM1 trillion. The crooked bridge project was mooted by Mahathir shortly before he retired from his first tenure as prime minister in 2003. His idea was to build a bridge that would work around Singapore’s refusal to demolish its half of the causeway link between Johor Bahru and the island republic. It involved constructing a six-lane S-shaped highway that allows vessels to pass under it. The dispute then was because Mahathir believed building a new bridge would allow for some ships to pass through the Johor Straits in its way to the South China Sea, instead of having to go further and pass the Singapore Straits. The project was dropped by Tun Abdullah Ahmad Badawi when he became prime minister, which led to Mahathir fiercely opposing his hand-picked successor.